Family cars have a lot to cope with but thankfully there are plenty of practical and versatile models on the market at affordable prices. What’s more, modern advances have transformed the once tired and thirsty family wagon into an altogether more agreeable car that's comfortable, with low running costs and impressive fuel economy. We’ve rounded up the best 10 family cars on the market for £15,000. In our opinion these cars tick the boxes for driving enjoyment, build quality and value. We were pleasantly surprised by the C3 Aircross. 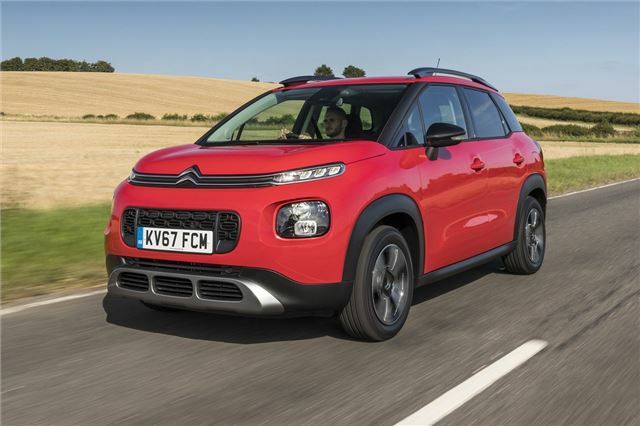 And with starting prices for the C4 Cactus rising above £15,000, the Aircross neatly takes its place in this list. So why do we like it? Well, there’s a joy about the C3 Aircross that you don’t get with most of these small SUV things. It’s different. It’s fun. But it's also practical at the same time and comes with the excellent Puretech petrol engie. I think that the doors look as though a bed headboard has been halved and glued on to them. Not so funky to me .